Once an engineer, always an engineer—well, until he becomes a Realtor, that is. Then he’s the most analytical Realtor around! Like many in the industry, Doug’s path into real estate wasn’t a direct one. 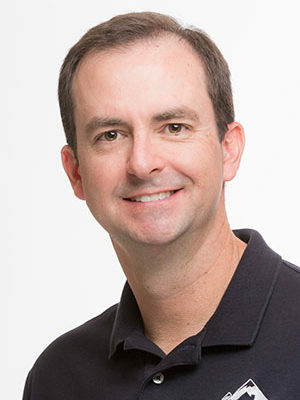 Raised in Aurora, Colorado, Doug earned his bachelor’s degree in electrical and computer engineering from the University of Colorado Boulder. With a diploma in hand and wife, Laura, at his side, Doug took a job with Motorola in Chicago. Over the course of his 25-year career as a systems engineer, Doug’s work would also take them to Phoenix and ultimately back to the Denver Tech Center area, where they settled down to raise their three kids and take full advantage of Colorado living. It wasn’t until shortly after Laura started Destination Denver Realty that Doug felt the nudge to shift careers and trade his corporate life for a family-owned-business life. He officially joined the company in 2012, becoming a licensed Real Estate Broker Associate at the Employing Level and immediately digging into the details of real estate laws, rules and regulations, and analyzing market cycles, trends, and statistics to best benefit his clients. When he’s not working, you will almost certainly find Doug on his bike—on area trails, roads, or even in his basement during winter months! A self-professed ‘NARP’ (his unofficial term for a non-athletic regular person), Doug loves the feeling that results from a strenuous ride and the mental clarity it often brings. Doug can be reached at doug@destinationdenverrealty.com or 303-345-8776. May hold the county record for the longest open permit on a home remodel. Has logged more than 30,000 miles—and thankfully only one broken bone—riding on Colorado roads and trails. Is a certified USA Cycling Level 2 Coach and one of only 150 Power Based Training cycling coaches in the nation. Has worked on NASA programs for 15 years but is not a rocket scientist. Hopes to one day ‘Everest’ in cycling and earn his Grey Stripe (if you don’t know what that means, you’re not alone—check out hells500.com to be enlightened). This year, Doug is raising funds for Bicycle Colorado, a Denver-based nonprofit that aims to encourage and promote bicycling, increase safety, improve conditions, and provide a voice for people who ride bicycles in Colorado. You can support his efforts by learning more or donating online bicyclecolorado.org/join-us/donate/.